Eng2Marath is an English to Marathi typing layout software. Eng2Marath is English to Marathi typing software. Its works as you speak Marathi language. 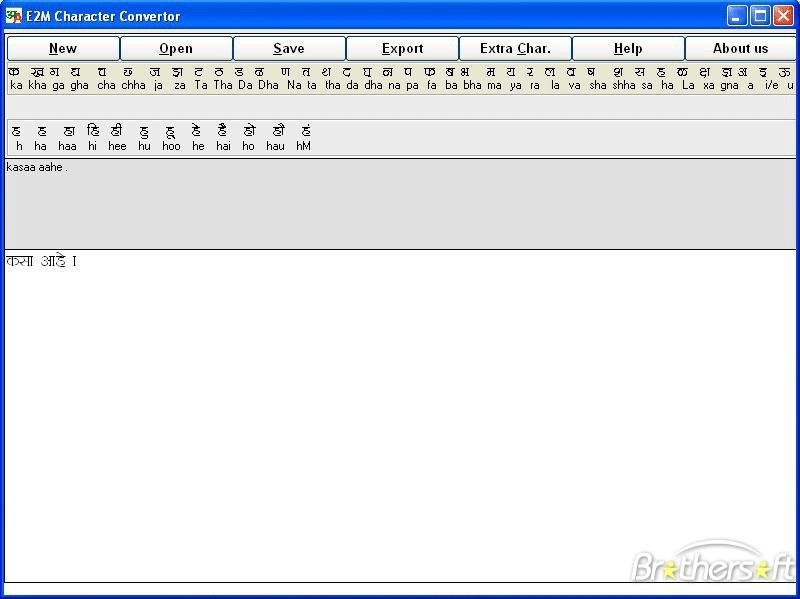 It is an Easy English to Marathi typing layout software. Eng2Marathi software is very useful to the people who wants to type letter or any other documents in Marathi using computer but do not know Marathi typing in computer. In Eng2Marathi there is a facility of Real Time help and full keyboard help, there is also facility of transfer to Microsoft Word. ...... Eng2Marathi software solves your Marathi typing problems. Eng2Marathi software is very useful to the people who wants to type letter or any other documents in Marathi using computer but do not know Marathi typing in computer. In Eng2Marathi there is a facility of Real Time help and full keyboard help, there is also facility of transfer to Microsoft Word. * English to Marathi Typing Editor (Human phonetic language). * Real time Marathi typing help. * Full Marathi Keyboard help. * Export to Microsoft Word. * File Save, Open facility. Qweas is providing links to Eng2Marathi 9.0 as a courtesy, and makes no representations regarding Eng2Marathi or any other applications or any information related thereto. Any questions, complaints or claims regarding this application Eng2Marathi 9.0 must be directed to the appropriate software vendor. You may click the publisher link of Eng2Marathi on the top of this page to get more details about the vendor.